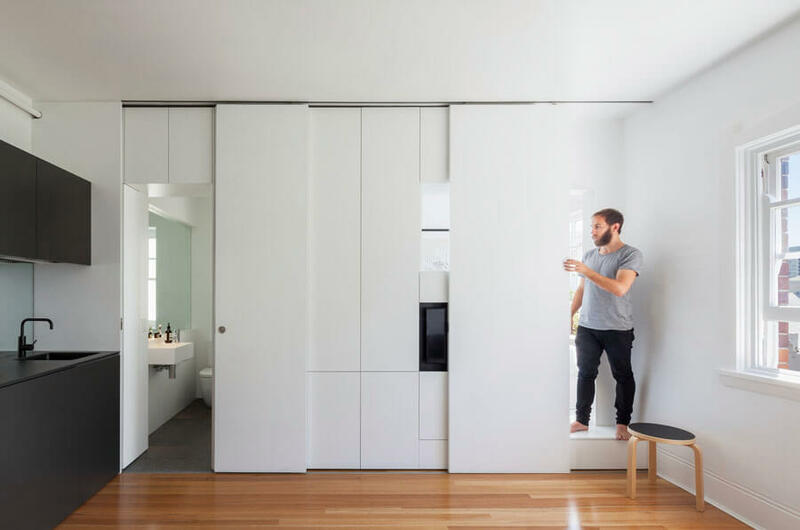 How do you make an apartment measuring less than 300 square feet livable for two people? 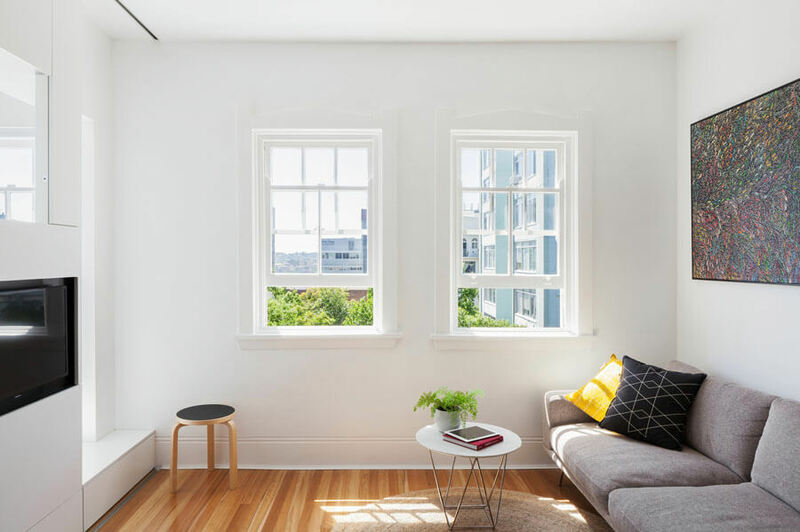 For architect Brad Swartz, the answer is custom-designing transforming interiors for a carefully chosen flat in a historic 1920s brick deco building in Darlinghurst, Australia. The space may be small, but it’s on the northeast corner of the top floor, giving it beautiful views from two sides, cross-ventilation and lots of natural light. 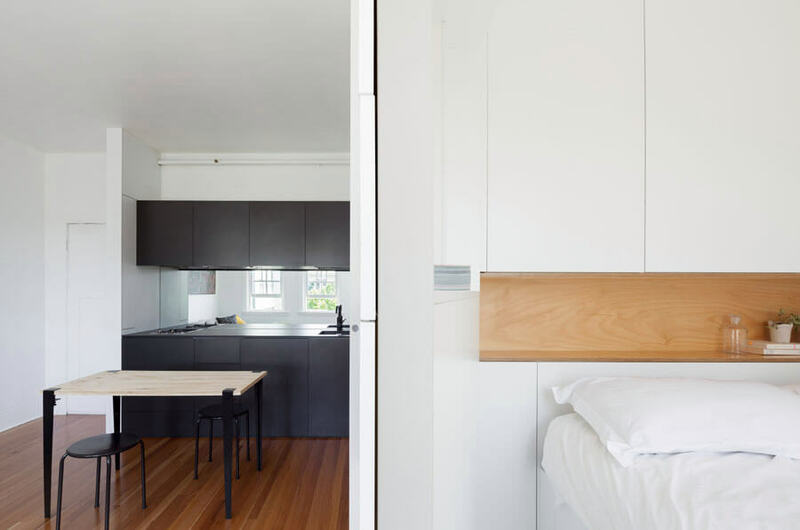 Unlike most micro apartments, which are typically converted from larger multi-room units or industrial spaces to tiny studios, this diminutive living space was divided up this way when it was first built. Early apartment developers in Australia in the 1920s and ’30s began building and selling small spaces in response to an economic downturn. Today, those spaces are still making it possible for people with average incomes to afford living close to the city. 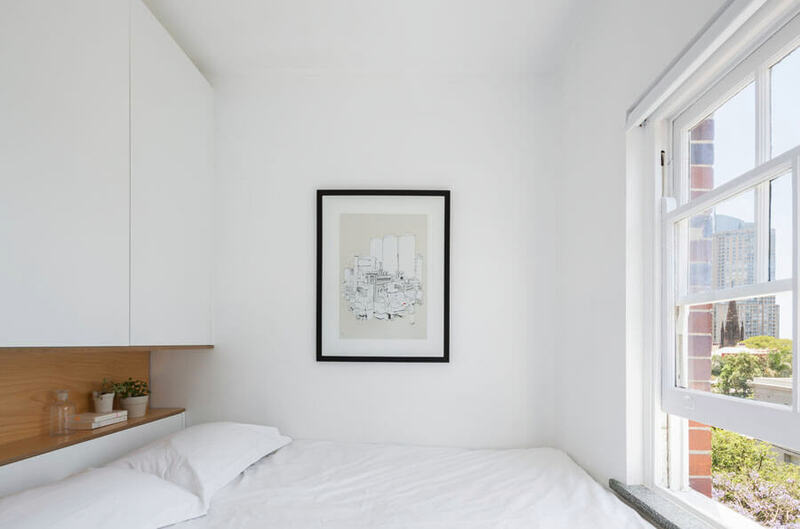 While it was originally all one big space, Swartz chose to add a divider sectioning off a private sleeping nook no larger than the size of a bed. This all-white addition is only about 17 inches deep, just large enough to accommodate books, nicknacks, bottles of wine and a flat-panel television. Sliding panels hide these items when they’re not in use, making the space feel clean and organized. 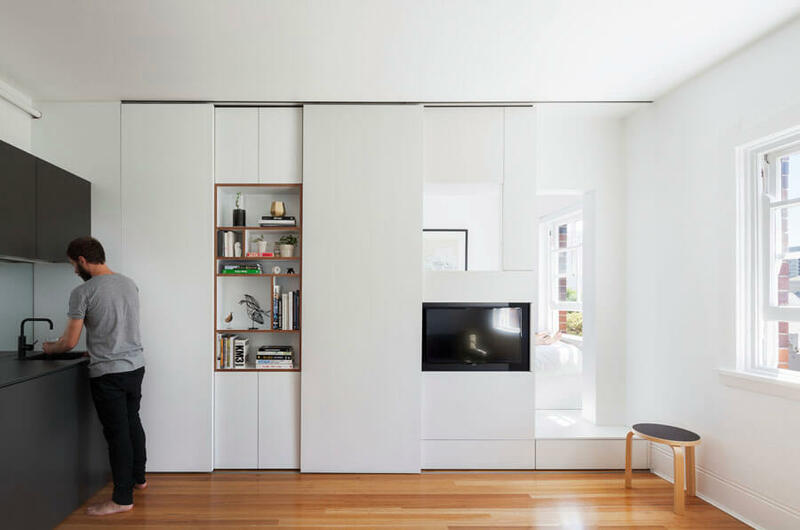 It also hides a fold-out desk, and includes a few mirrors to visually enlarge the space. The step-up bedroom has storage space under the floor, and the door to the bathroom is disguised within the left side of the divider. Swartz even used narrower-than-normal floorboards to enhance the sense of openness. 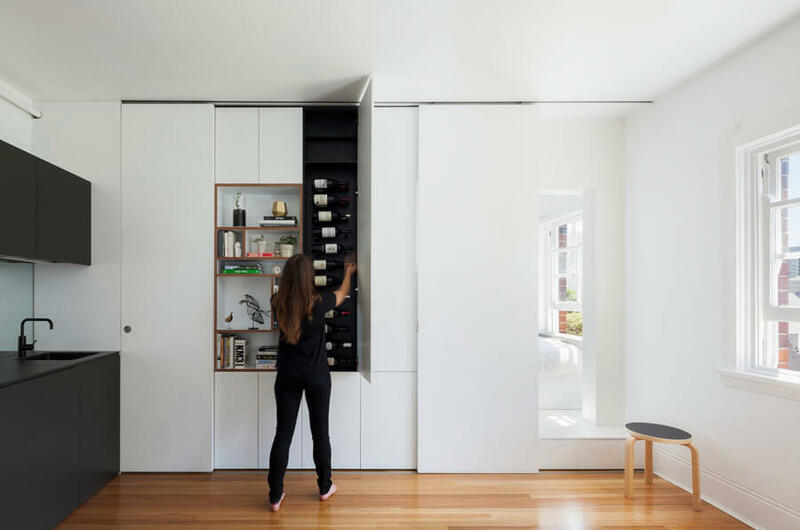 “Everywhere we can, we have doubled up on the use of space because we had to really push it and be really smart in all aspects of the design,” Swartz told the Sydney Morning Herald.